Which one would toi like to be...? Who is your favori side character? If toi were in Zootopia/Zootropolis, what animal would toi be? What's your favori screencap of Nick? What's your favori screencap of Judy? what's your favori scene in the movie? 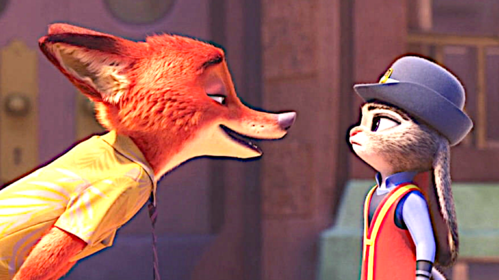 Judy: nick, toi need to learn that it takes time for crimes to happen. What does Nick like to call Judy ?